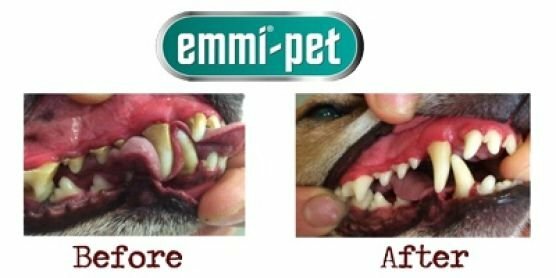 The Emmi-pet 100% Ultrasound Toothbrush does not function like conventional or electric toothbrushes which use mechanical friction. It utilizes the characteristics of cutting edge ultrasound which does the cleaning with no brushing required. Ultrasound technology has already been used for many decades with success in medicine. 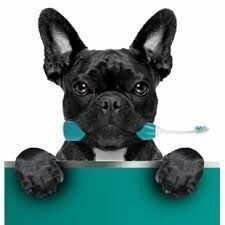 Using ultrasound for oral hygiene is absolutely harmless for animals. Ultrasound waves are air waves. The Emmi-pet 100% Ultrasound Toothbrush functions with an output of only 0.2 watt. The emmi-pet is certified by the specialised department for animal husbandry and animal welfare (FFT) in Austria as an animal protection oriented product. Peridontal disease is a progressive condition that if left untreated can have detrimental effects on your pets oral and overall health. Used regularly it is a preventative treatment for teeth and gum disease. Hundreds of thousands of satisfied users with their long-standing trust in our patented ultrasonic technology, products and our company.